The annual Crab Carnival has returned to The Morrison for the fifth year and it is bigger, better and messier (in a good way) than ever! Chef Sean Connolly has designed a menu featuring dishes from Asian, Indian, Italian and American cuisines with several varieties of crabs. 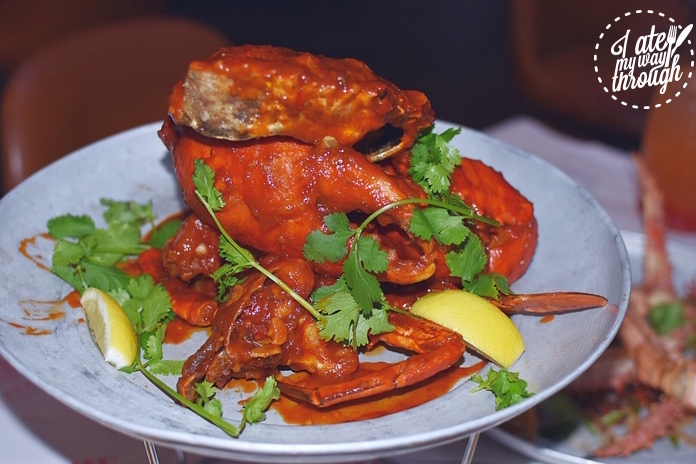 The enormity of whole Chiili Mud Crab delivers a wow effect even before diners dig in. A bit of assistance from crackers and wooden hammers are required to crack through the thick shell but once we get to the meat, it’s worth the effort. For crabs of this staggering size, we are amazed how sweet and tender the flesh is. 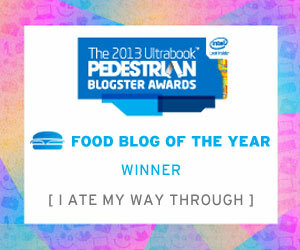 It’s a sheer pleasure munching victoriously on the chucks of meat from the gigantic claws. Don’t be embarrassed to lick the hot sauce off your fingers, it is so good you don’t want to miss a bit of it. 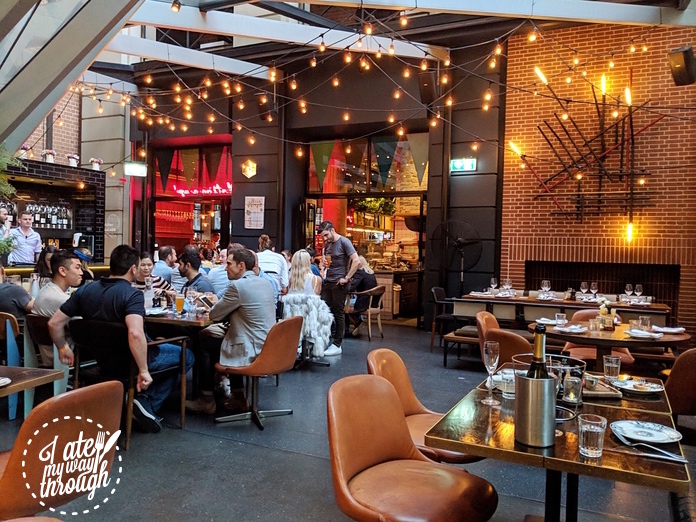 On Tuesdays the $120 whole mud crab is reduced to $85, book early as it’s bound to sell out. 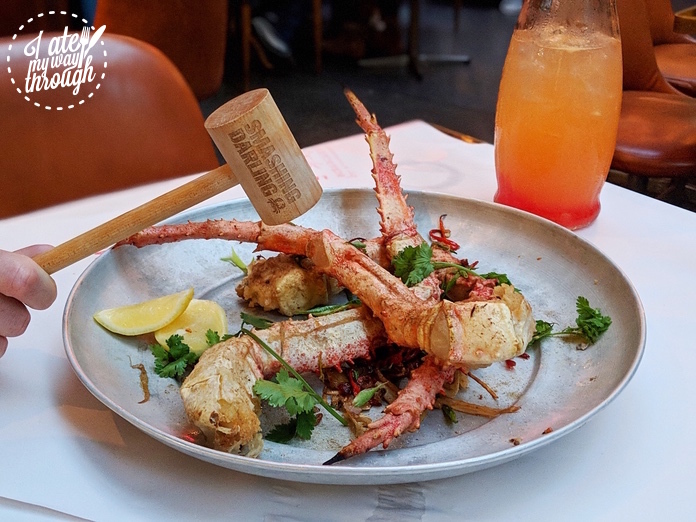 Equally enormous and impressive is the Alaskan King Crab Legs ($45) cooked salt and pepper style with chilli and coriander. Watch out for the spikes on the legs but if you are skilful enough to extract the flesh in one piece, oh boy you are in for a treat. 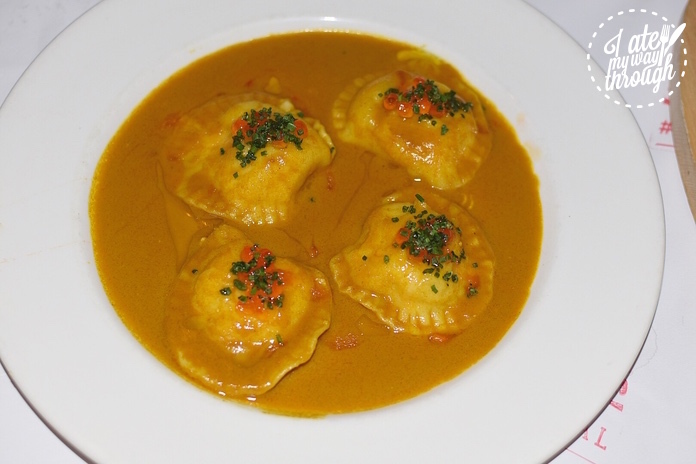 Chef Sean Connolly’s passion for Italian cuisine is evident with new dishes Crab Ravioli ($22) and Crab Risotto ($32). The former is cooked on a bed of curry sauce contrasting with the delicate and mild seafood. A few comfort dishes are also added to the menu at this year’s carnival, amongst of which are Soft Shell Crab Burger ($19), Crab Po’Boys ($18/2 pcs) and Mac n Crab ($32). 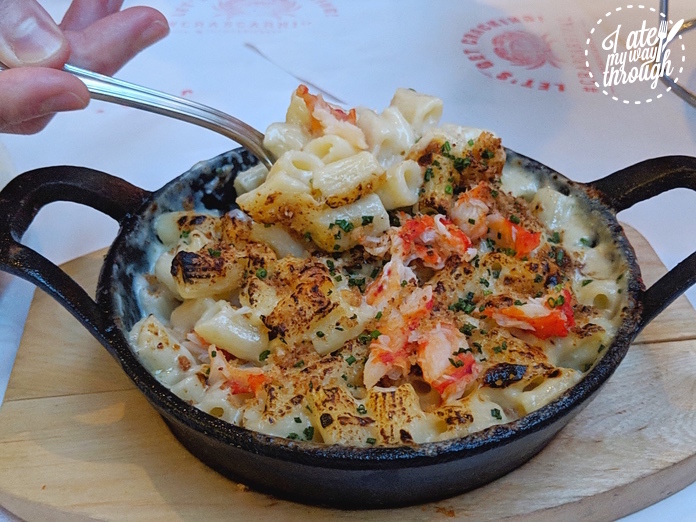 If you are keen to try Alaskan King crab but don’t fancy getting your hands dirty, the Mac n Crab is a good alternative. I Ate My Way Through has been following the Crab Carnival at The Morrison for several years now and you can read our 2017 and 2015 posts here. The 2018 event is on now until April 15th. Check out daily specials on their website.